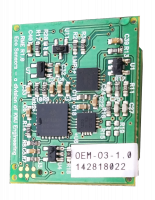 Gas-Sensing is a partner company to Oxidation Technologies, LLC. 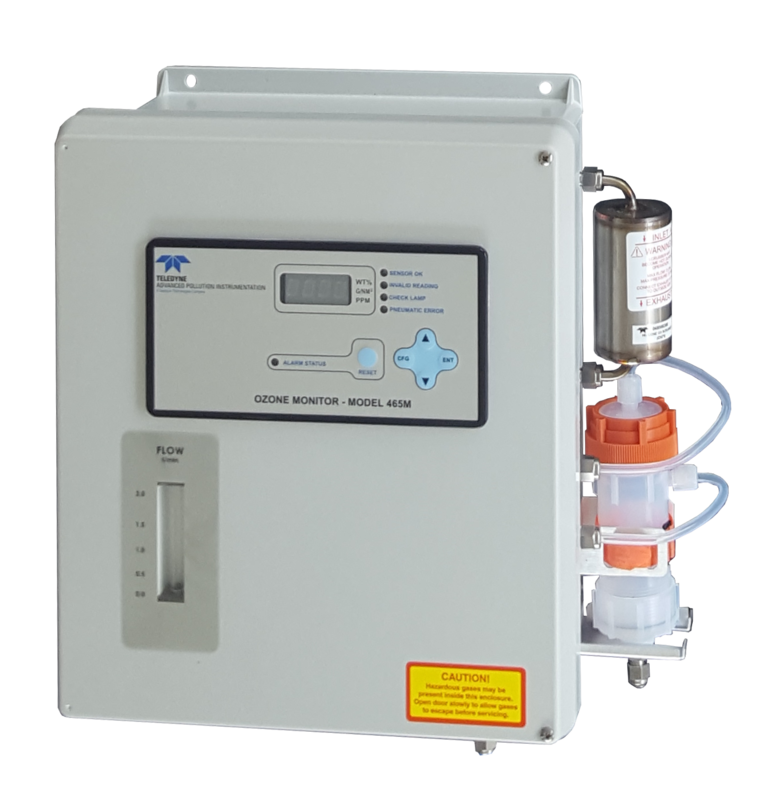 Oxidation Technologies provides services and products exclusively to the ozone industry. 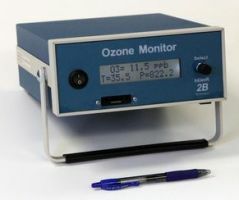 For all ozone related inquiries please refer to Oxidation Technologies. 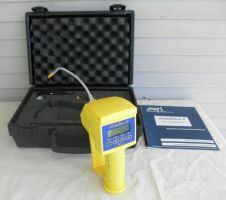 Many applications require measurement and control of ozone of very low concentrations under 300 ppb (parts per billion). At these low concentrations, one needs to consider the following sampling issues with measuring ozone. Ozone is highly reactive. 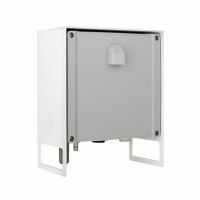 Ozone will react readily with organic materials and surfaces such as walls, flooring, ceiling material, plastic test chambers and people. 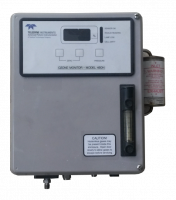 The greater the accuracy of the ozone monitor, the greater the variations will become apparent. 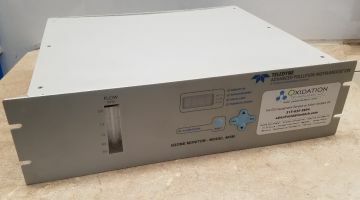 If you are testing the accuracy of ozone monitors in test chambers, ensure the devices inside the chamber are clean and do not readily react with ozone. Such materials that work well are fluoropolymers and glass. Ozone will react with dust and oils. Ensure that all surfaces are clean and that any solvents used to clean such surfaces have completely dried. 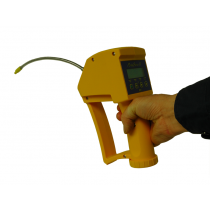 Even slight solvent residuals will have a dramatic effect on the sensor and residual ozone level in the chamber. 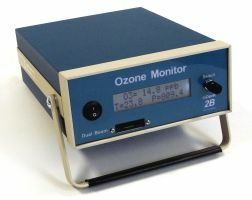 Ozone concentration gradients are common in rooms and are greatly influence by air movement and eddy currents. This effect will be more pronounced at concentrations less than 100 PPB. 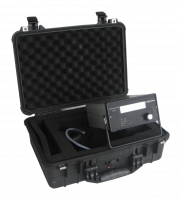 Aeroqual’s ozone monitors are designed with "active sampling" to maximize air sampling at the sensor (to minimize ozone losses). 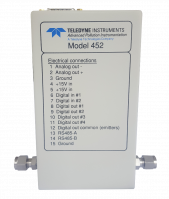 Most expensive, analytical instruments also employ active sampling (e.g. UV photometry). 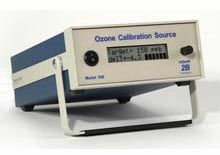 Products without "active sampling" (electrochemical and conventional HMOS products) will normally under-read ozone concentrations below 200 parts per billion and struggle with sensitivity and accuracy, particularly in low air flow. 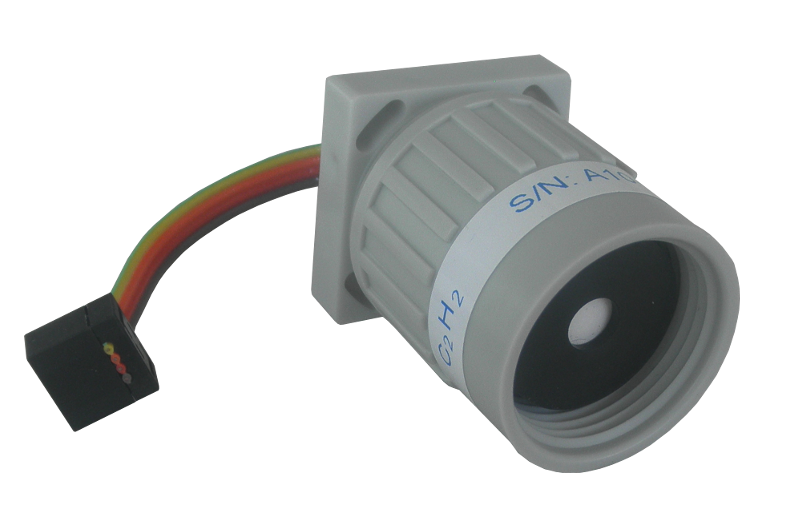 Air inlets are manufactured from cleaned stainless steel mesh and fluoropolymer materials to minimize ozone loss. Ozone is much heavier than air and tends to sink to lower levels. Ozone has a low vapor pressure and so it does not try to fill the room uniformly. It tends to stay where it is. 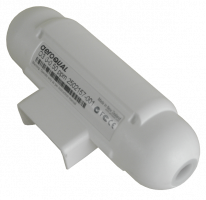 Ozone tends to cling to rough surfaces such as fabrics and breaks down (converts back to oxygen) when passing through restricted and obstructed passageways. Ozone reverts back to oxygen with a "half life" (time to go to half of its original concentration) typically of 10-30 minutes. 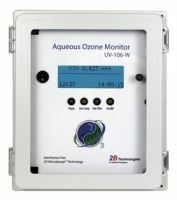 Ozone can be confused by instrumentation with other oxidizing gases such as chlorine compounds, acid fumes, and oxides of nitrogen (NOx). Strong "reducing" gases, such as vapors of alcohol and solvents, can reduce the apparent concentration of ozone. Ozone has a sweet smell, but the odor threshold varies widely by the person and by ambient conditions. Therefore "smell" is not a reliable test for the presence or concentration of ozone. What is the ozone concentration at the breathing level where room occupants will be? 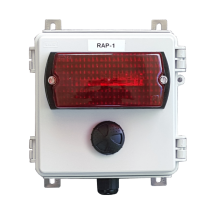 For ozone introduced via HVAC systems with good room air circulation, the alternate point of measurement is near the entrance to the return air duct. 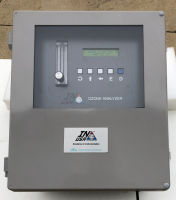 For ozone generators, accessories, and turn-key systems follow this link to Oxidation Technologies, LLC.